As your Abington Hyundai dealer, we at Sussman Auto Group offer an expansive selection of Hyundai vehicles for you to choose from. However, we don’t stop there. We also offer all the financing and maintenance services you’ll need as a car shopper and as a car owner. On this page, you’ll find more information about who we are, our expansive inventory, and our many on-site services. Read ahead to see what we can do for you. Then contact us today to schedule a test drive! At our Hyundai dealer near Abington, PA, you’ll find a wide variety of Hyundai vehicles to choose from in all shapes and sizes. 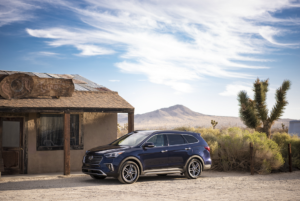 We proudly carry all of the newest and most highly sought-after Hyundai models including the 2019 Hyundai , the 2019 Hyundai Santa Fe, the 2019 Hyundai Tucson, and many more. Even if you’re searching for a quality pre-owned Hyundai vehicle, we’re confident that we have the vehicle for you. Bring your next-car wish list and our knowledgeable sales team will get you matched up with a Hyundai vehicle that you’ll love. After the sales team at our Hyundai dealer near Abington, PA, has you matched up with the Hyundai vehicle you’ve been searching for, they’ll introduce you to our friendly finance team. Whether you’re thinking about financing or leasing your next Hyundai vehicle, the experts at our finance center can help you find a loan or lease that you feel confident about. 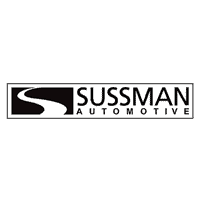 At Sussman Auto Group, our Hyundai dealer near Abington, we’re dedicated to your needs as both a car shopper and a car owner. That’s why we provide our customers with a convenient, on-site service center. Here, you’ll find a team of expertly trained service technicians that can take care of any maintenance need you have. 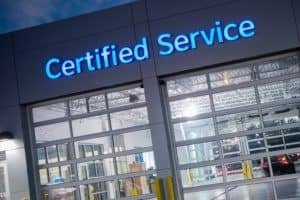 Whether you need an oil change, a tire rotation, or transmission repairs, you can count on them to get the job done quickly and correctly. In your Hyundai vehicle, you’ll be able to explore all of Abington and beyond. Venture out to the nearby Huntingdon Valley Country Club for a round of golf or spend some time outside at the Pennypack Ecological Restoration Trust. You can also take your reliable Hyundai vehicle for a little road trip south to hustling, busting Philadelphia. Explore the Philadelphia Museum of Art, the Philadelphia Zoo, and grab an authentic Philly cheesesteak at D’Alessandro’s Steaks and Hoagies on your way back out of town. As your Abington Hyundai dealership, we at Sussman Auto Group are thrilled to provide you with the expansive Hyundai selection you need to find the perfect vehicle for you. Now that you have a better idea of what we have to offer, we hope you’re ready to jump in and get start on your next car-buying or -leasing experience. Right on our website, you’ll find an updated selection of the many Hyundai vehicles that we have available. Take a look, and then give us a call to schedule a test drive!